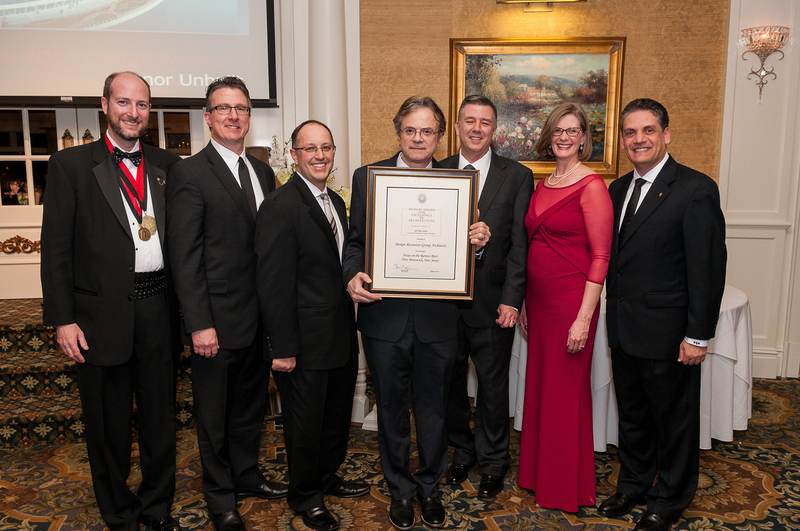 DRG Architects is honored to announce that Nexus on the Raritan River, a proposed bridge for the Rutgers 2030 Master Plan, is the recipient of the 2017 New Jersey AIA Annual Design Honor Award, in the Unbuilt Category. Suspended above the Raritan River, Nexus allows visitors to stand over the river flowing below, and experience the sensation of the river’s movement, listen to sounds of rippling water, and feel the river’s cool air. Their vision delights from the playful light shimmering off the water, reflections of the tree-lined shore, and long vista views, all changing with each season. Nexus is for the young, the old, students, business people and residents, to spend time together above the historic Raritan River. It’s a place to walk, jog, bike, picnic, read, people watch, kayak, and observe rowing teams below. Connecting at the same elevation and aligned with the proposed Rutgers College Avenue Quadrangle, Nexus bridges over the proposed Rutgers George Street Transit Hub to connect to the circle. 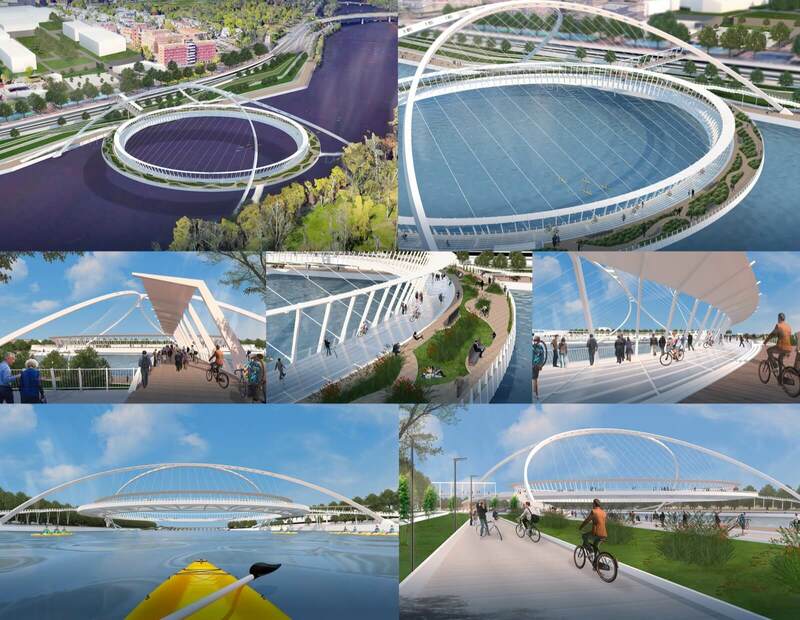 Nexus would replace the proposed Rutgers 2030 Physical Master Plan pedestrian footbridge with a unique park suspended over the Raritan River. Nexus connects Rutgers New Brunswick Campus and Boyle Park, to a proposed River Boardwalk along the southern bank that extends to the existing Delaware River Canal Trail. It also connects across the river to the Livingston and Busch Campus, Rutgers Stadium, Ecological Preserve, and Johnson Park. Nexus’ soaring white structure and cables create the illusion of floating above the river unsupported, and elicits images of a musical instrument seen from the city and its surrounding areas. The structure spans the river, supported only from its banks, leaving the river untouched and accommodating of the constantly changing water levels.